Hope you're all having a good week so far. I'm finally starting to feel a bit more myself after a lovely dose of tonsillitis followed by a rotten cold and a funny bug! That means I finally got chance to sit down and unpack my new catalogue pre order and have a play. There is a new stamp set coming called Varied Vases which coordinates with the Vase Builder Punch. This set is going to be very popular as it's so versatile and the sentiments are just gorgeous. It's also a great set to use with a the new Stamparatus Stamping Platform. 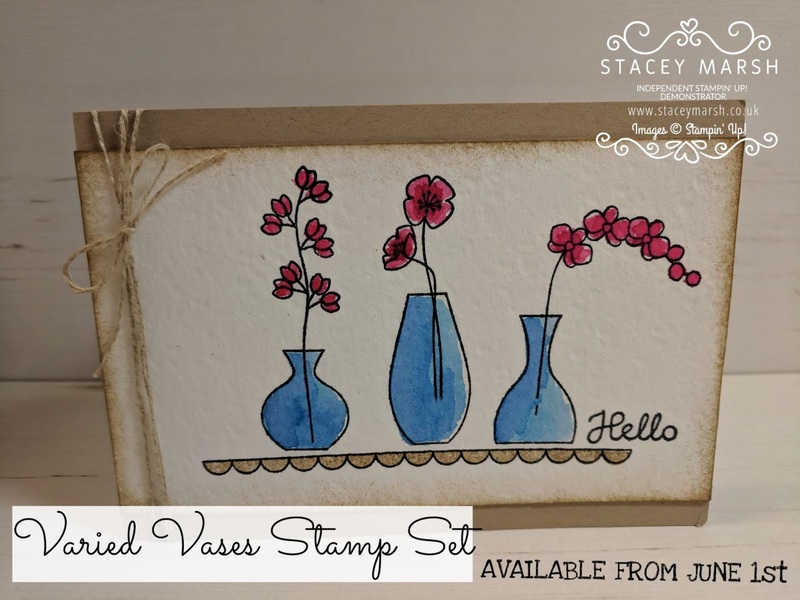 The stamp set features different shape vases with various different stamps to fill in the vases. There is also a selection of flowers, leaves and sentiments. For this card I have kept it really simple with some stamping and watercolouring! Looking forward to showing you more fun ways of using this set of products! 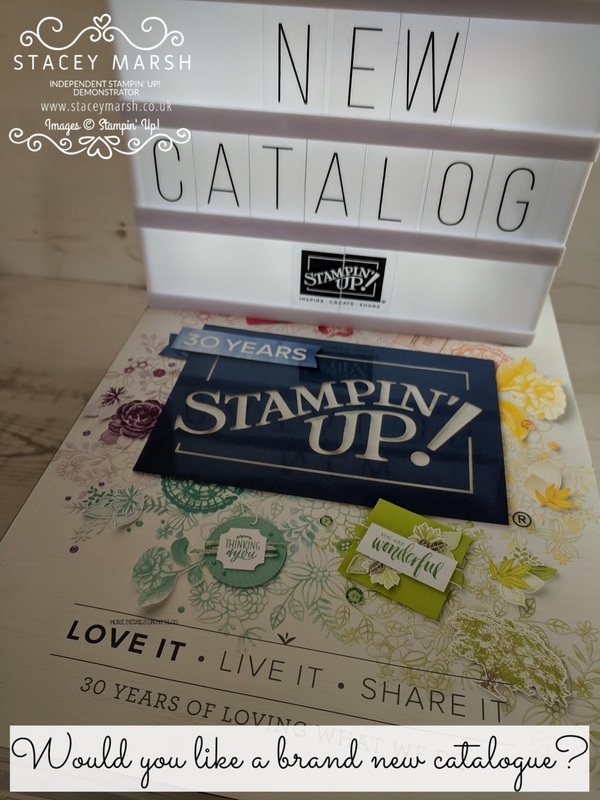 New catalogues are also now available to you. Please send me a message with your name and address if you would one posted to you, free of charge of course!